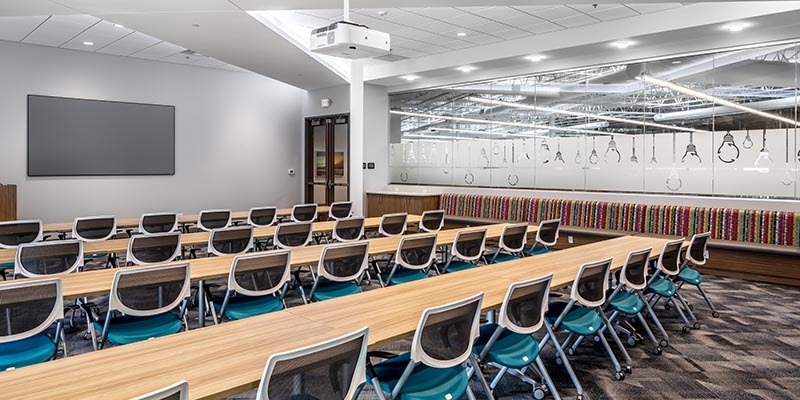 Sever Construction kicked off Energy Management Collaborative’s (EMC) new office project at the start of September 2017 and completed the work in just five months. 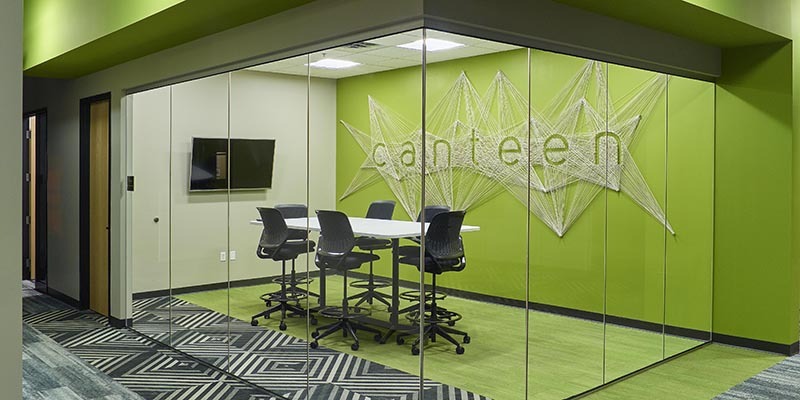 This space is located at the Vicksburg Business Center in Plymouth, MN. 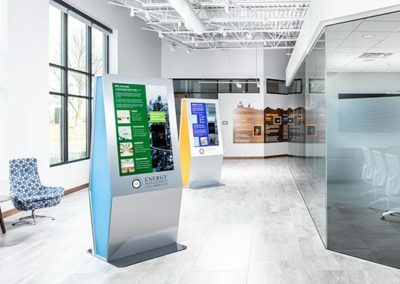 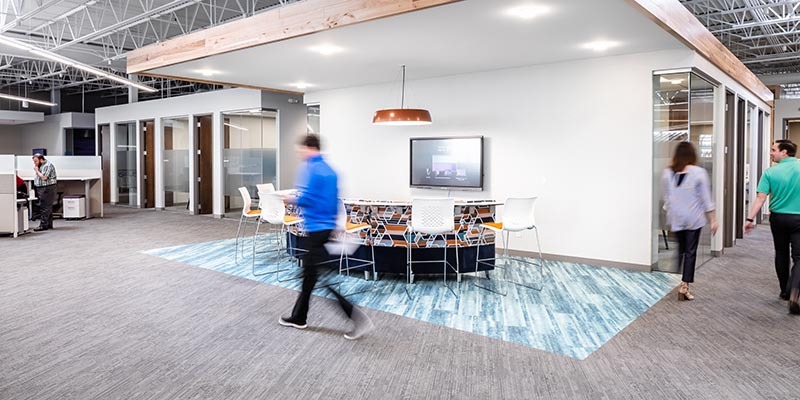 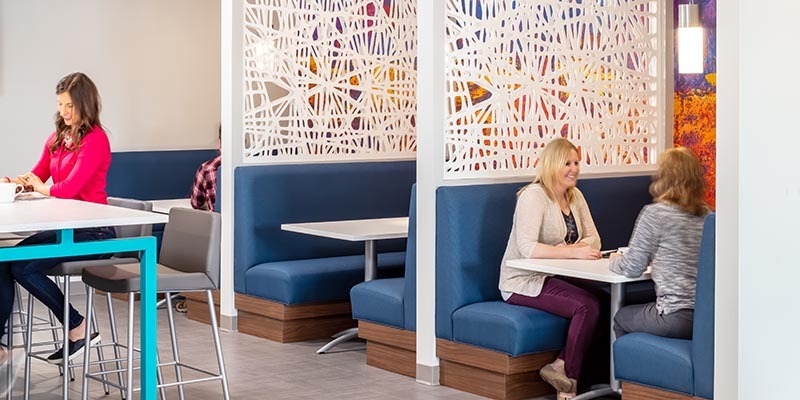 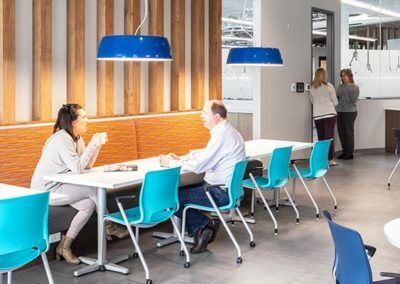 The project partners included NTH, Inc., bdh+young and Henricksen, who together created a renewed and vibrant working environment for the growing EMC team. 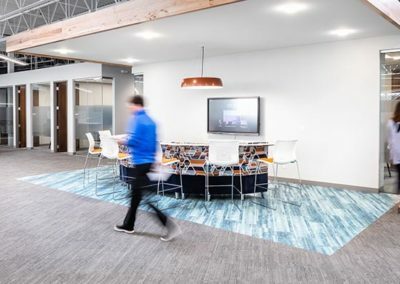 “The 200-person company was operating in a cramped 17,000-square-foot office space which had already doubled in size since 2002,” stated in the recent MSPBJ Cool Office article. 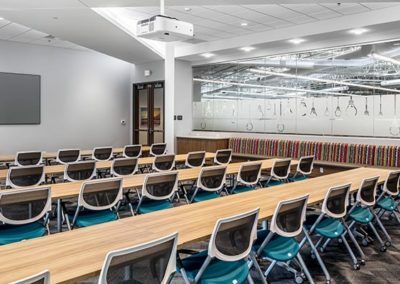 The beautifully finished space features a state-of-the-art motion sensor management system which operates 40 different LED light fixtures; producing a smart and responsive environment. 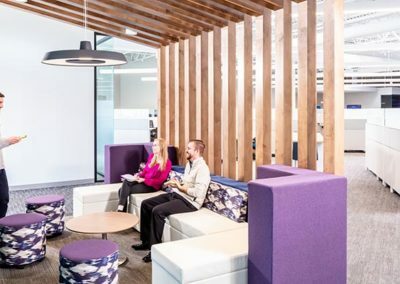 Throughout the workspace are wood trellis elements that connect near the border of the exposed ceiling deck, as well as skylights and high-end finishes. 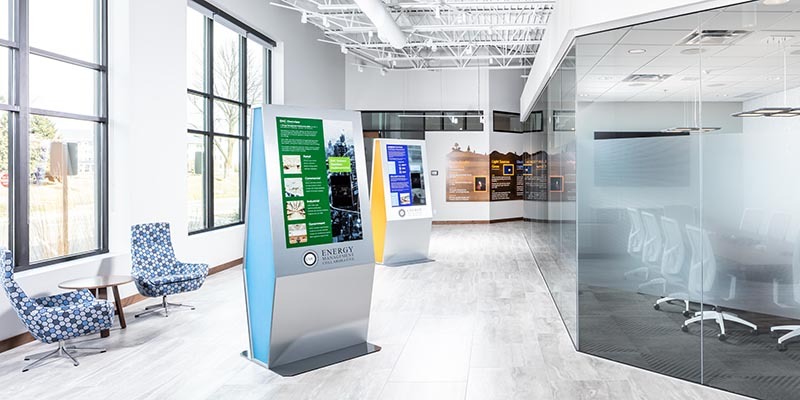 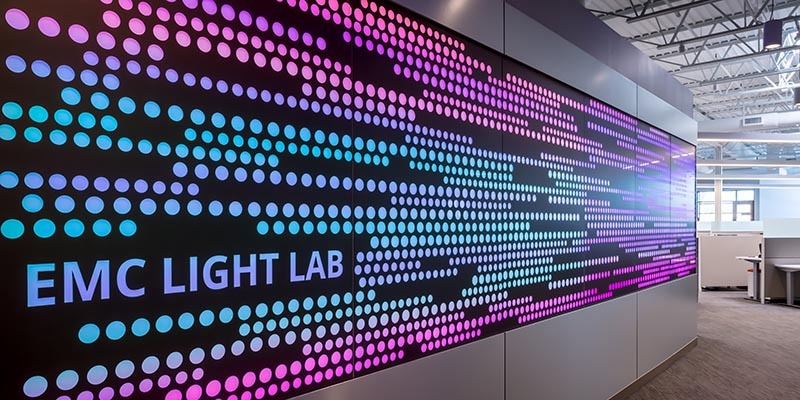 Informative wall graphics outline the world’s light source history and EMC’s growth timeline bringing life to the newly formed white walls. 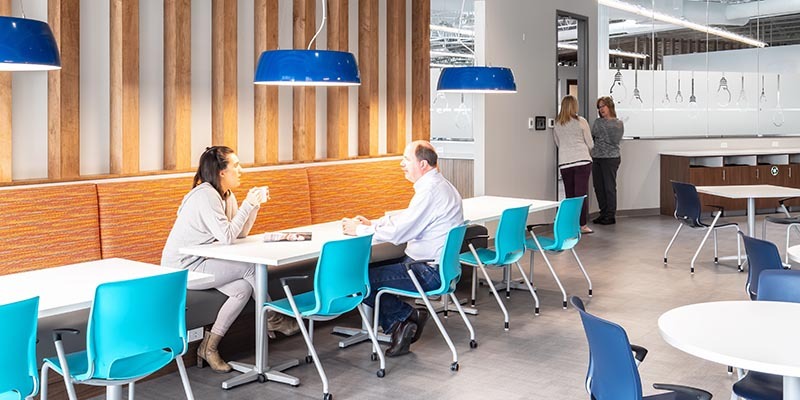 “The workstations feature sit-to-stand ergonomic desks while the collaborative spaces have comfortable furnishings with punches of color to contrast the neutral floors and walls. 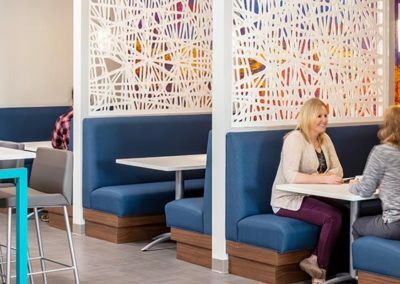 A large café offers a variety of seating including tables, booths and a banquette. 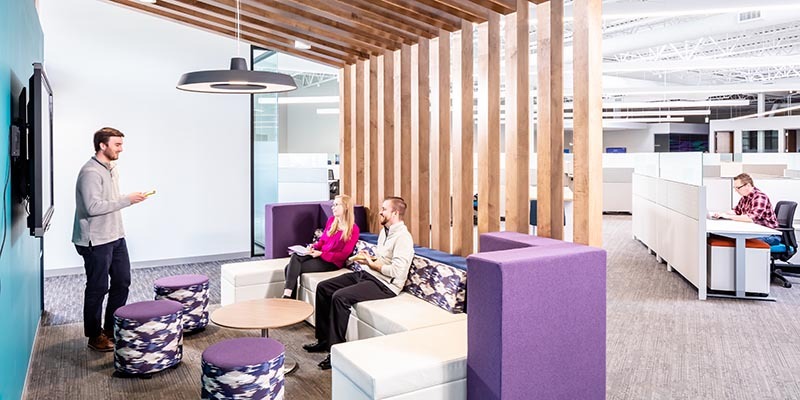 Outside, a large patio encourages employees to enjoy fleeting summer days with ample seating, firepit tables and a pergola,” as mentioned in the Minneapolis/St. 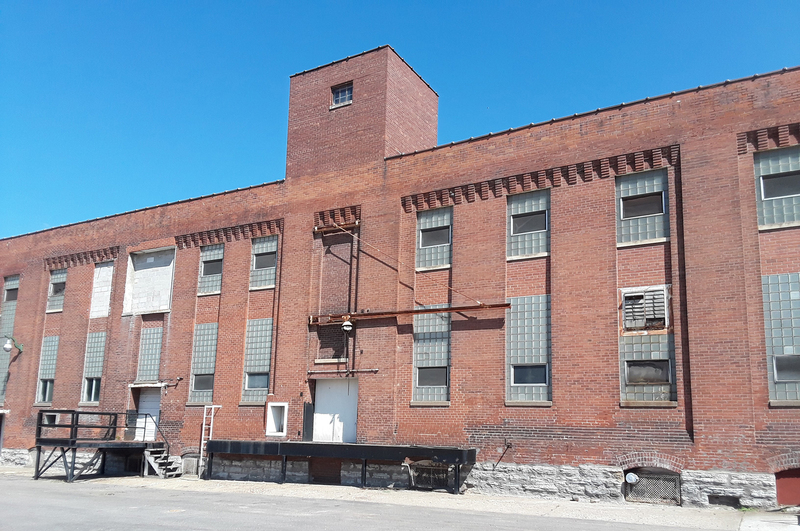 Paul Business Journal.